A University textbook is not normally considered light reading, yet a number of them can offer us valuable information and resources. This is a law book used in university classes. 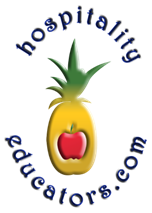 It is very detailed, includes many solid examples and case studies. The Q&A sections at the end reinforce the highlights made throughout each chapter. 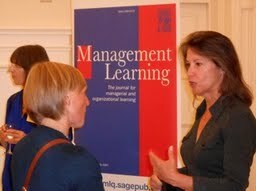 The headings of the 15 chapters are self explanatory and offer insights and potential direction. 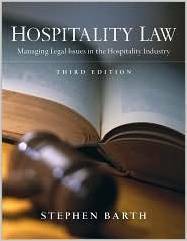 In addition to this reference book, I would also recommend The 2015 Hospitality Law Conference http://hospitalitylawconference.com/ , which is not just for lawyers. From development deals to management agreements, from food and beverage liability to labor and employment, and from claims management to anti-trust issues, the latest cases, trends and challenges in compliance, finance, law, risk, safety, and security are up for exploration at the 13th Annual Hospitality Law Conference, February 9-11, 2015. The Owner Management Summit, co-located with the Hospitality Law Conference, intersects legal, finance and technology and includes sessions on: who owns the data, who is responsible for the data, development and unwinding management contracts. I will write a separate column on this next week.